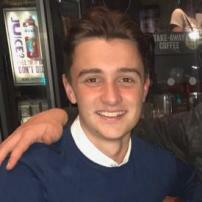 My name is Tom Kelly and I am a 19-year-old student from Brentwood, Essex, currently living within Brighton, East Sussex studying Sports Journalism. I regularly feature for other football journalism websites such as 90min, The Punters Page and Football Tips Today. Within my time as a freelance journalist, I have accumulated over 600,000 views over a variety of different platforms, with content ranging from previews to deadline day transfer stories.